The current bear market might be good for you, especially if you are a crypto addict. There's a popular saying that said "Everything happens for a reason", well, as many crypto enthusiasts might be wondering why the market is bearish right now or even lamenting the situation, it may be good to try seeing it from a different perspective. 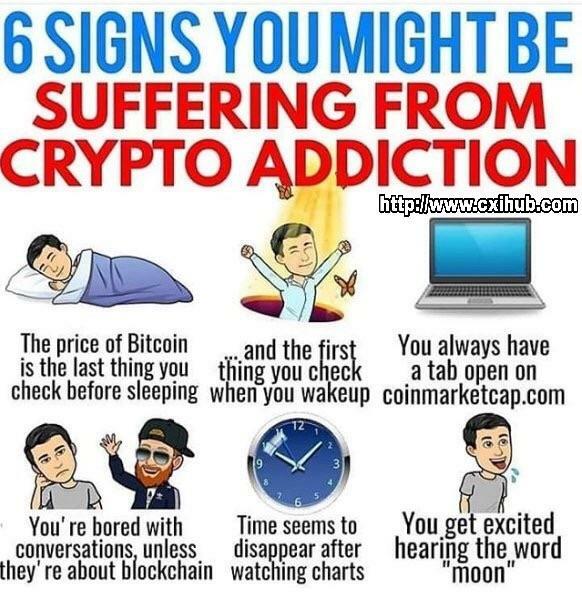 If you've considered crypto is the only reason you live and and wake up everyday, there's a chance that you might suffer from the crypto addiction. In this case, the bear market may well be a cure for your condition, as the price chart and news around may discourage you from checking too often. It may result in you're looking for other activities and ending up living and enjoying your life more. Can you relate to the image? Yes, that pictures myself perfectly! No, I'm not in that level!